The professional team at Riemer & Son Landscape & Irrigation have been serving the Oklahoma City area for over two decades. In that time we have provided your friends and neighbors with many of our services like landscaping, patio pavers, retaining walls, sprinkler systems, and outdoor kitchens. The fall season is upon us and your landscaping has different needs than it does at any other time of the year, especially as the cold weather approaches here in the Lexington, Oklahoma area. We can help you to get your fall landscape prepared for the seasons ahead and advise you on planting new trees, shrubbery and flowers. 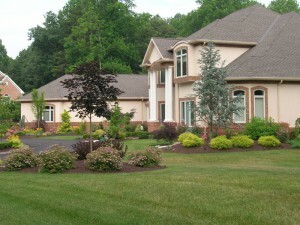 Riemer & Son Landscape & Irrigation is family owned and operated and we pride ourselves on offering you the best landscaping service in the state. Our team has been providing fall landscaping in Lexington, Oklahoma for twenty years and understand the importance of how to prepare your lawn and landscape the final time before the first freeze arrives. If you allow your grass to be too long after the final cut, it will tend to lay on top of itself when heavy snow falls. The result is that the grass can not circulate properly and you could create a disease in your lawn that will surface when spring arrives. It’s not only good to mow your lawn at the proper level for the last time before winter, but fall is also a great time to overseed your lawn. Our team understands exactly how to prepare your grass to ensure a healthy growth after the winter season. 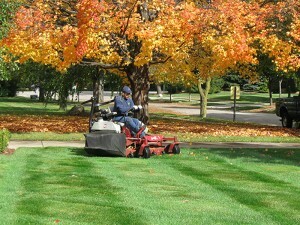 Clearing your lawn of leaves and brown grass blades is vital to allow the grass to properly grow next season. If you do not clear all the debris before the snow arrives, then the grass will have trouble growing and turning a beautiful green color in spring. We have been preparing lawns here in Lexington, Oklahoma for the harsh winter months and when springtime comes our customers enjoy a vibrant, full green lawn every time. Fall landscaping in Lexington, Oklahoma is one of our specialties, and we here at Riemer & Son Landscape & Irrigation want you to understand that providing exceptional customer service is our top priority. We want to ensure that your irrigation system is properly winterized, to properly feed your lawn so it can survive the harsh Oklahoma winters, to discuss with you what types of mums or annuals are best to withstand this cold weather, and offer you services like low voltage landscape lighting. 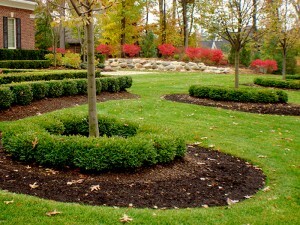 We have the experience to prepare all your landscaping needs for the fall, through the winter and right up to spring. Give us a call at (405)639-7648 for a free estimate or visit our website at RiemerAndSon.com to see some of our amazing work and read some customer testimonials of Oklahoma residents who love our service.